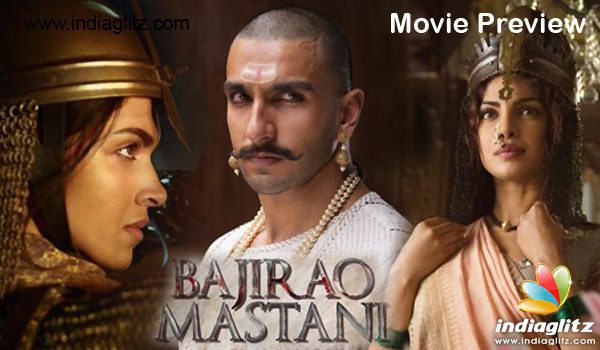 'Bajirao Mastani' is one of the most delayed projects of filmmaker Sanjay Leela Bhansali. Touted as his magnum opus, 'Bajirao Mastani' was earlier planned to have Salman Khan and Aishwarya Rai in lead. It took nearly ten years for the director to finally bring the project on floors - with Ranveer Singh, Deepika Padukone and Priyanka Chopra in lead. A historical romance, 'Bajirao Mastani' has Ranveer essaying the role of Maratha Peshwa Baji Rao, while Priyanka as his first wife Kashibai and Deepika as his second wife, Mastani. Tanvi Azmi plays Rao's mother. Bannered under SLB Films and distributed by Eros International 'Bajirao Mastani' is slated to release on 18 December 2015.